Consultin﻿g People is a niche consultancy with a wealth of experience in all aspects of Business Transformation. 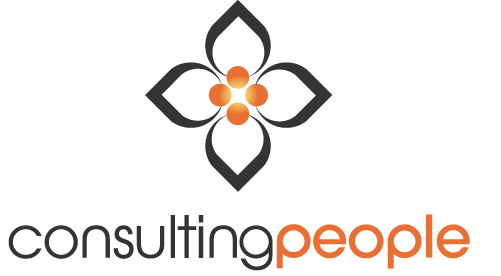 Established in 1993 by Mike Vernon and Gill Avery, Consulting People has an exceptional network of leading consulting partners with a variety of professional backgrounds. Consulting People support people in creating and leading sustainable, inspiring and profitable businesses that grow and learn through the challenges that this brings. Our history of line management, performance improvement and commercial success inform our approaches to Leadership, Strategy, Transformation and Performance. Consulting People's core methodology is its Business Transformation Cycle℠ (BTC), which we have evolved over decades of action research with hundreds of clients. The BTC offers an integrated systems approach for building ability to achieve results through organisation, team and individual transformation. We create learning partnerships and use customer requirements to drive and legitimise business change and transformation. There was a gentle and profound impact on the way I choose to run my life and business after Double Loop Learning. We have a choice and with that choice operate at the level we do, with the tools of the course we can improve our understanding and thereby improve our working and personal lives. The Double Loop Leadership programme was very thought-provoking and challenging. Mike and Gill are real experts and have developed an extremely powerful theoretical base. 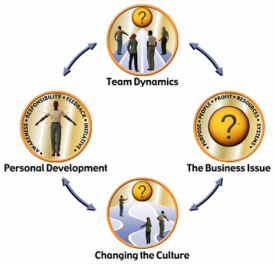 It is one of the best approaches I have come across in behavioural psychology, team development and culture change. I feel empowered, clearer on a business situation I experienced and how I could deal with that, and other future situations differently. It made me think about how I interpret and react to things and the reasons behind why I do this. Definitely food for thought....and I’ll be more taking action!